A Modern Engagement Ring with Double Asymmetric Bypass Shank. 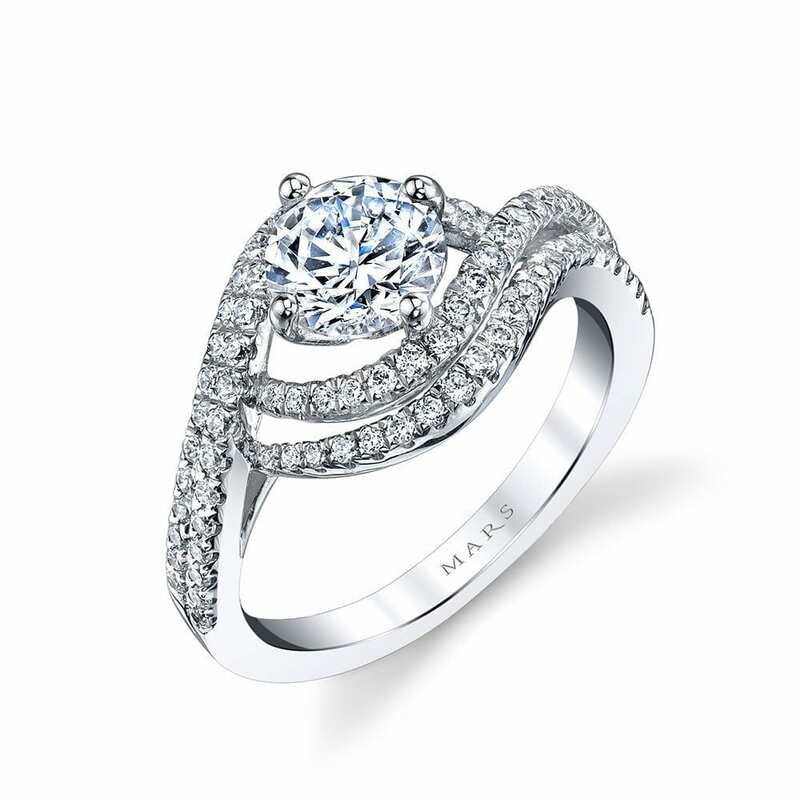 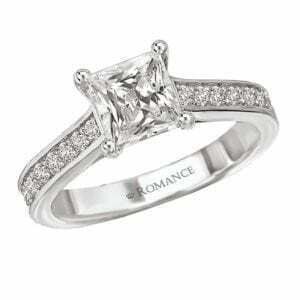 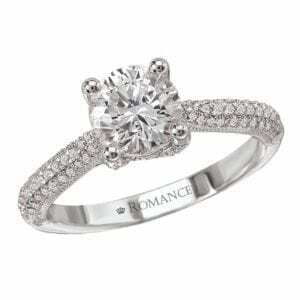 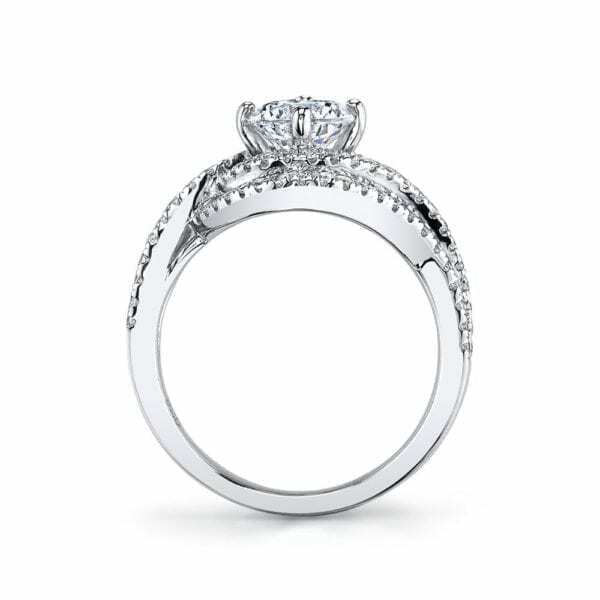 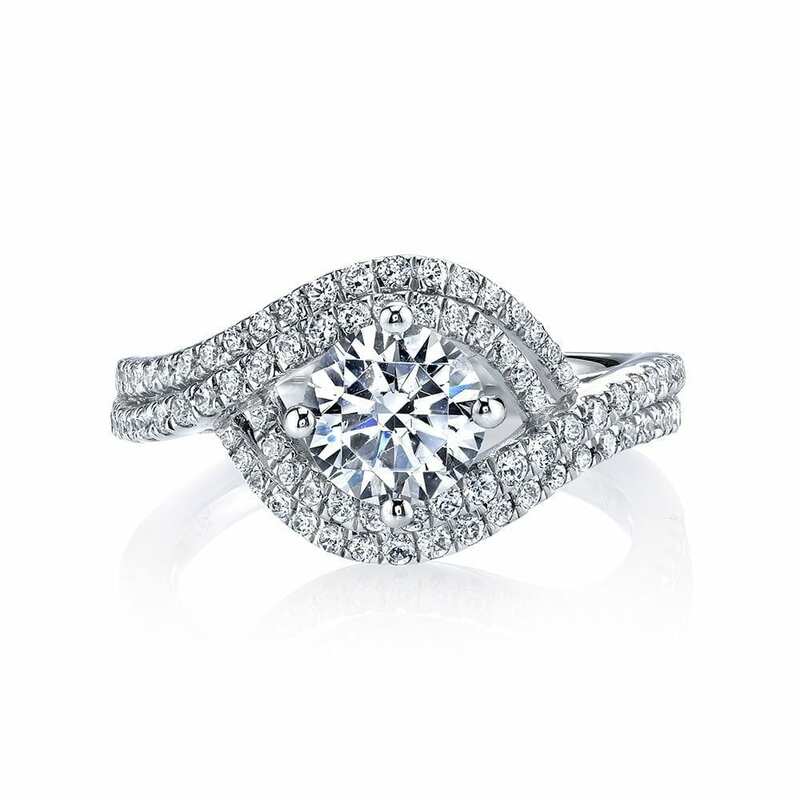 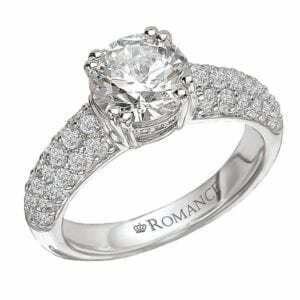 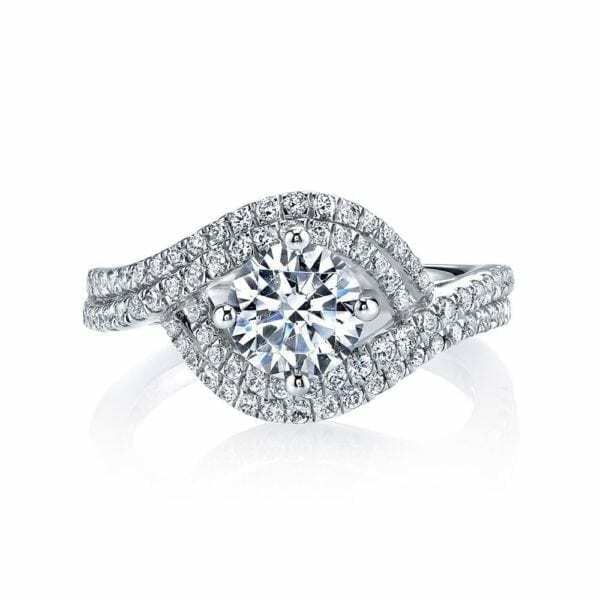 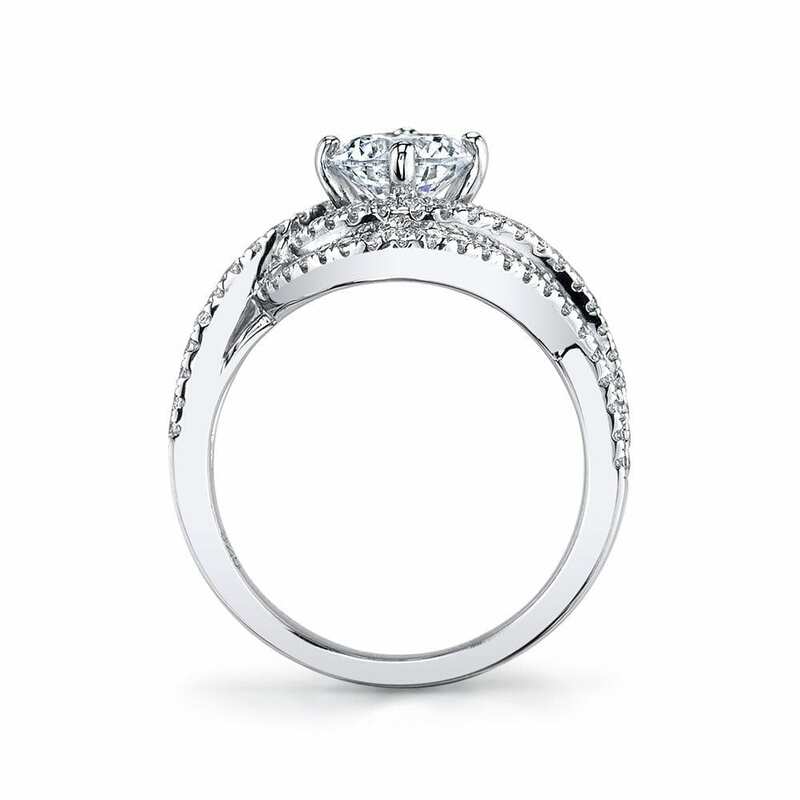 Shown in White Gold with Half Carat Round Brilliant Cut; Center Excluded from Price. 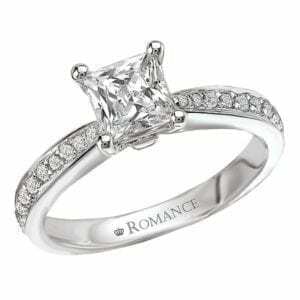 Side Stones: 0.22 Carat Total Weight.